Haredi party to prevent Jerusalem city budget from passing unless restaurants that open on Shabbat are banned from placing tables outside. Members of the Agudat Yisrael political party gathered on Tuesday in the party's Jerusalem offices, together with the party's representatives in the Jerusalem to discuss the desecration of Shabbat (Sabbath) and the upcoming vote on the Jerusalem municipal budget. Party member Yaakov Halperin said, "In the center of the city, there are places of entertainment which use the loopholes in the law in order to do what they want. It's a problem." Jerusalem Council member Shlomo Rosenstein said, "They claim there are clear laws stating that places of entertainment are allowed to remain open, and there are laws regarding how they are allowed to function on Shabbat. But they are trying to go to the extreme, and with every day that passes, the Shabbat desecration gets worse, and the law defends it." Deputy Mayor Yosef Deitsch said, "There is no question that even the secular Jews admit the Shabbat is being desecrated in our city. First they opened supermarkets on Shabbat - which is illegal. Then they opened the First Station, And then the municipality found ways to keep it open by going around the councilmen. "We have told the municipality we won't vote in favor of the budget unless the rabbis' demands to stop Shabbat desecration are met." According to Kikar News, the rabbis' demands are firstly, not to pass the budget via the Committee, and instead pass it through the City Council, and allow haredi council members to vote. Secondly, to ensure restaurants and places of entertainment which are open on Shabbat do not place tables outdoors. Jerusalem Mayor Nir Barkat told Kikar Hashabat that the second demand was illegal. 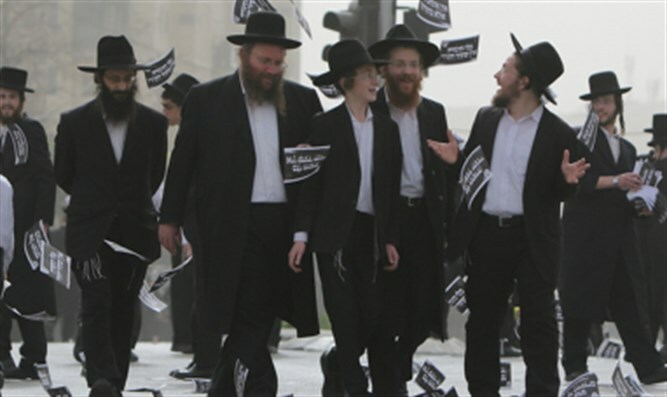 However, haredi rabbis and representatives claim there is a legal basis for prohibiting tables to be placed outside and are seeking external legal aid.